Will Gear Work For Me? Will Gear work with my window shade? Will Gear install onto my window frame? Will Gear work with my phone? 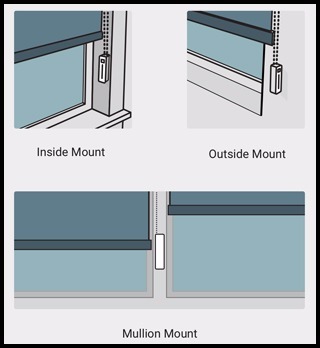 Gear can be installed on the inside, outside and middle/center pillar (also called a mullion) of your window frame. Even if your frame is made of metal, aluminum or concrete. See the photo below for examples of Gear being mounted in these different positions. Your Gear will come bundled with a mounting bracket that can be installed on to your window frame using screws or double-sided adhesive tape, which both come included in your package. The tape is recommended for middle section installations or if your window frame is made of metal, concrete or aluminum. When can I expect to receive my Gear?